Where glamorous trends meet colonial style, W Hong Kong amplifies the city&apos;s vibrancy, with the Airport Express just below. Immerse yourself in the artistic ambience of West Kowloon Culture Centre, the vital cultural hub next door. Indulge your senses at the authentic Sing Yin Cantonese Dining, the dazzling KITCHEN and the chic WOOBAR. See and be seen around the heavenly rooftop WET® pool, chill out at Asia&apos;s first Bliss® Spa and work out among the clouds at FIT. With skyline views from all 393 rooms, sightsee from the signature W bed or check out our fabulous entertainment. Plug into fully-wired technology or delight in the W MixBar. For every other wish, our Whatever/Whenever® service is at your command. A modern bistro reflective of W’s signature stylish and fun design. Feast your eyes on our whimsical international buffet with everything from dim sum and handmade sushi to generous heaps of fresh seafood, hearty salads and the most decadent dessert bar, lead by Director, Culinary Chef Robert Nilsson. 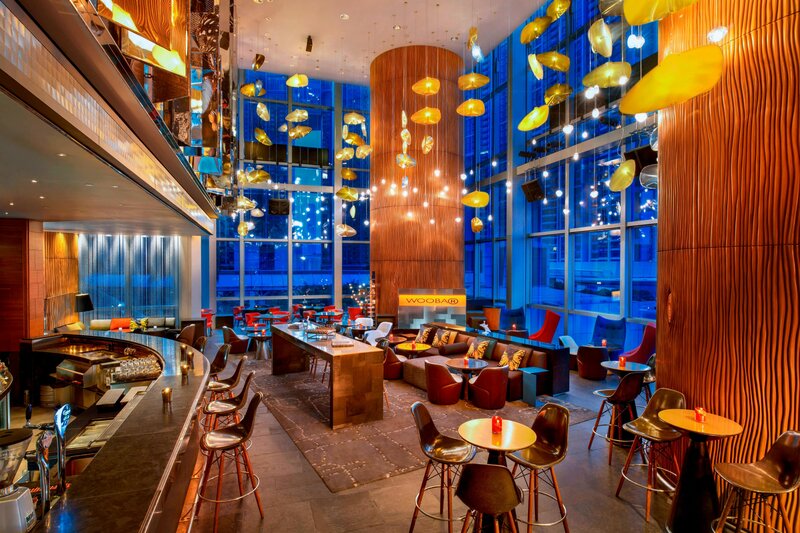 WOOBAR is redefining the city scene from day to night. Its whimsical interior design serves as a vibrant backdrop for sumptuous afternoon tea, world-class cocktails and an A-list lineup of energetic DJs spinning original beats and dance-worthy tracks. Located on the first floor of W Hong Kong, Sing Yin offers authentic Cantonese cuisine with a modern twist. Helmed by executive Chinese chef Johnny Chan, the menu features everything from delicate dim sum and traditional delicacies to the freshest of the land and sea. 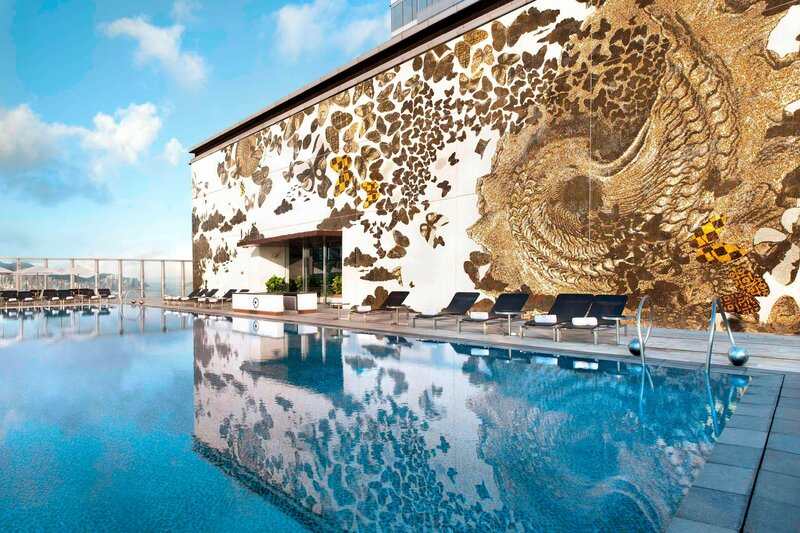 W Hong Kong’s 76th-floor pool deck offers more than just the chance to splash and tan. Wet Deck offers a wide variety of munchies from its vibrant menu. Cocktails are at the tips of your fingers and indulgence a mere stone-throw away. Our 130-square-meter, state-of-the-art, fully-equipped FIT on 73/F is where you work out, feel good and relieve stress among clouds. Pamper yourself at award-winning bliss®spa on 72/F for a rejuvenating experience. 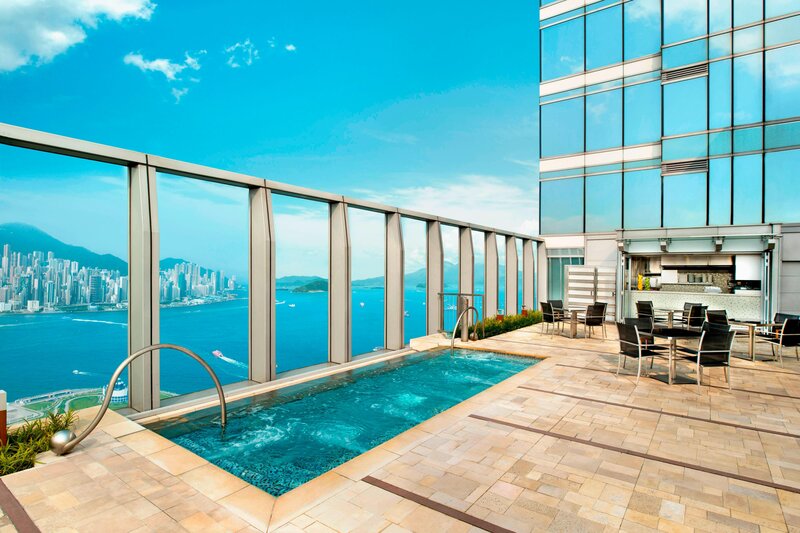 Your journey&apos;s not complete without a visit to 76/F WET® to experience mesmerizing views from the highest outdoor pool in Hong Kong. 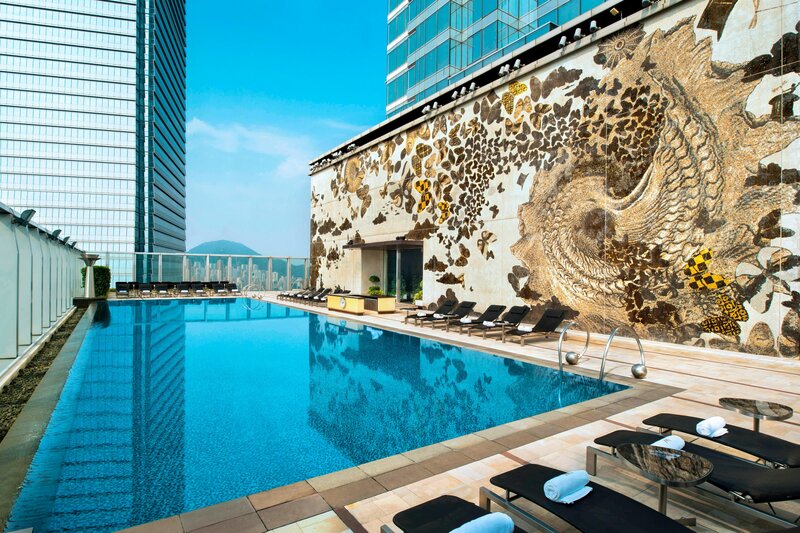 Keep Cool in the Highest Outdoor Pool in Hong Kong. 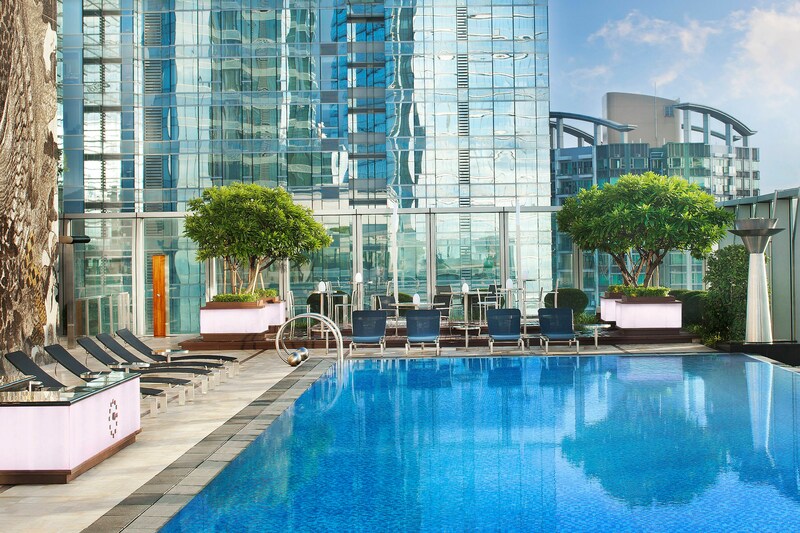 Head to WET®, our 76th floor rooftop swimming pool, a cool 211 meters (692 feet) above ground where you can dip in the water or just lounge on a deck chair surrounded by panoramic city and harbor views. Founded in New York in 1996, bliss ignited a modern spa revolution by combining a clever menu of super – effective services and a fun, “no-attitude” atmosphere. 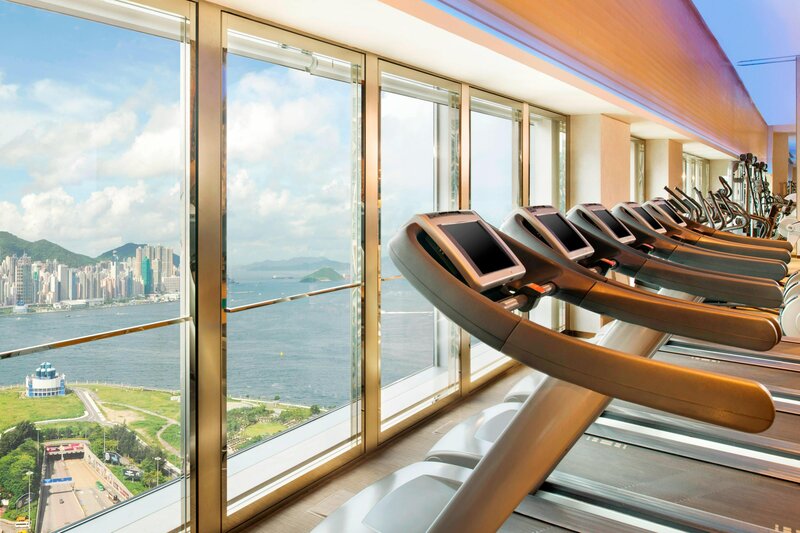 Head to FIT, our fully equipped and 24-hour gym on the 73rd floor, to burn off some of the stress high up in the clouds. W LOVES LOVE. When it comes to love, W Hong Kong knows no limits. W Hong Kong fulfills one’s dream for the most memorable wedding in style. Head to Great Room with 21-feet high ceiling and 3 distinctive Chinese knot chandeliers for your W wedding. The perfect location to say ‘I do’ with its ultra-high ceilings and vast floor space. Strike a pose by the signature W sign. 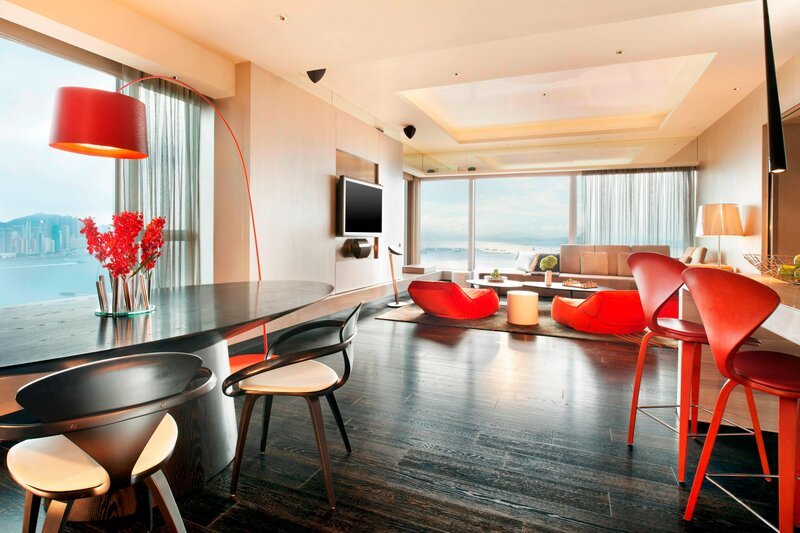 Celebrate at Extreme WOW Suite for a fun-filled bachelorette or after party. W Hong Kong was designed in tandem by 2 design firms to create an enchanted forest theme. The forest is symbolic of the city of Hong Kong, composed of numerous skyscrapers reaching up to create a symbolic urban canopy. 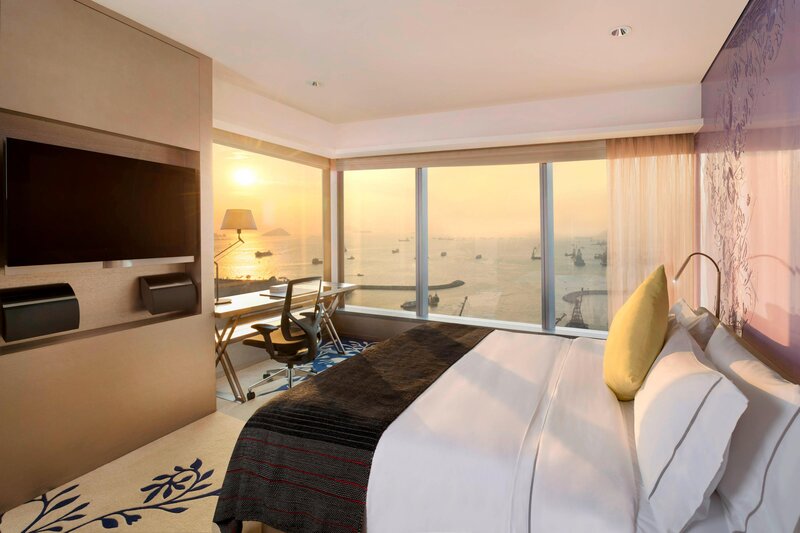 Where vibrant and modern meets classic and colonial, where the pleasures of the east come together like the harmony of the yin and yang, where the financial centre overlooks the hustle and bustle of Hong Kong&apos;s street markets. Part sophisticated metropolis, part cultural epicentre and a total feast for the senses; you&apos;ll find it all in Hong Kong. 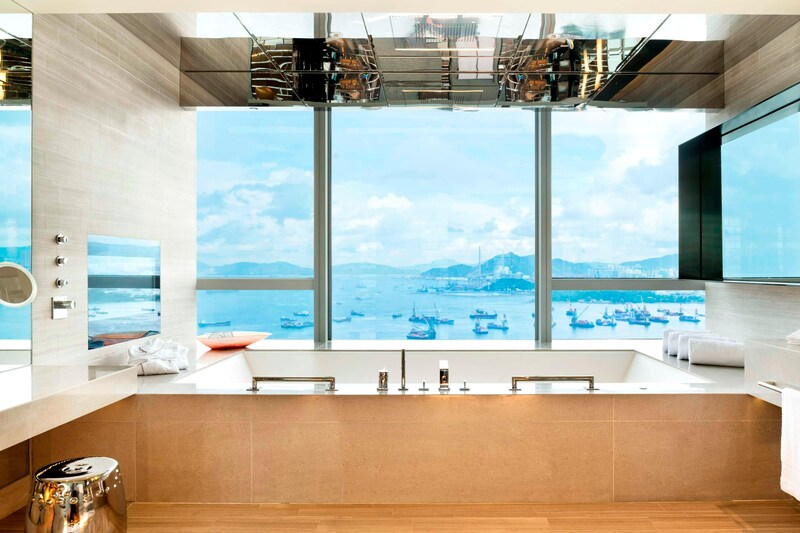 All the suites in W Hong Kong are extraordinary, designed by Yasumichi Morita of Japan’s GLAMOROUS and Nic Graham of g+a in Australia. Our suites cater foremost to the whims of corporate guests as well as to the playful sensibilities of the weekender. All bathrooms settle in natural light and 2/3 of them have harbor views. Suite designs do not depart from the nature motif that is woven throughout: wood grain interpretations of dream catchers are etched into the wall panels and provide a modern and very graphic feel. Admire subtle butterflies and branches winking out from the walls, guests may enjoy the fruits of the W’s commitment to innovation and fun.